To contact Mrs. Burkhalter, click here. Mrs. Burkhalter began her career in education in 1996 as a family and consumer sciences teacher. She taught 12 years at the junior high, high school, and college levels. She went on to serve 3 years as a middle school technology coach. Mrs. Burkhalter served 5 years as assistant principal to both Dunaway Elementary and Finley Junior High. 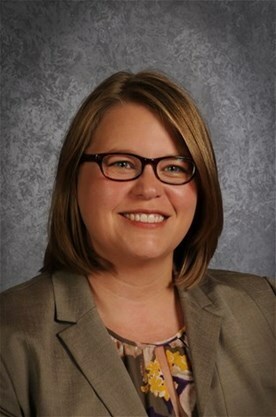 In 2016, Mrs. Burkhalter was selected to become principal of Shackelford Elementary. Throughout her career she has served as a member on district committees such as the Technology Steering committee, Gifted and Talented Selection committee, District Advisory Team, Student Health Advisory Council, Destination Imagination team leader, district technology trainer, district STAR chart coordinator, Eduphoria System Administrator, and dual credit instructor. Mrs. Burkhalter also served as a textbook reviewer for the Curriculum Center for Family and Consumer Sciences reviewing the Housing, Furnishings, and Equipment Production, Management, and Services Curriculum Guide, 2004. In 2010, she was a member of the State Board of Education Technology Applications Review Committee where she helped revise and write new Texas Essential Knowledge and Skills for the 6-8 grade Technology Applications courses. Mrs. Burkhalter holds a Bachelor of Science degree from Texas Woman’s University and a Master of Education from Lamar University. She is certified in Vocational Home Economics, Generalist EC-4, English as a Second Language, and Principal. Mrs. Burkhalter is a member of the Association for Supervision and Curriculum Development (ASCD), Association of Texas Professional Educators (ATPE), Texas Computer Educators Association (TCEA), and the Texas Elementary Principals and Supervisors Association(TEPSA). Mrs. Burkhalter lives in Waxahachie with Chris, her husband of 23 years, and their two boys, Sam and Stephen.